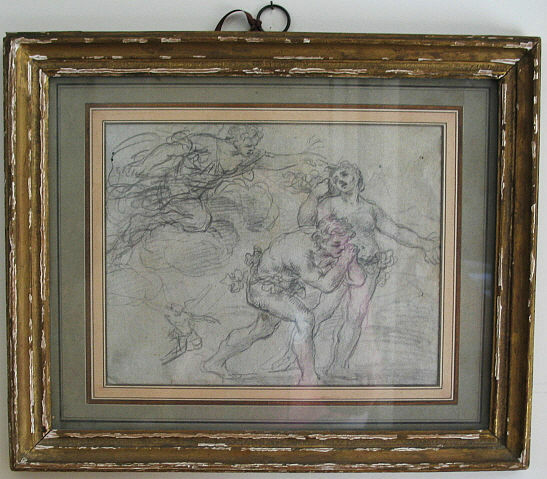 Double sided drawing "Expulsion from the Garden" and "Sketch of a Maiden". Indistinct signature "Alban"? 18th century French frame.